Jennifer Brooks Blog: Luster Premium Whitening Review + Giveaway + Fight against Bullying!! Luster Premium Whitening Review + Giveaway + Fight against Bullying!! Recently I was contacted by Luster Premium Whitening. If your not familiar with the luster brand. It is a US oral care company, specializing in tooth whitening hence the name. lol I was a little familiar with the brand before they contact me, because I have used their light whitening system. Although, I do like the light system, and it does work. However, it just doesn't fit in my lifestyle. Doing a little research on the company I discovered that Luster was working with a non profit organization bullying.org. Immediately I wanted to help. This project that was created to help people around the world deal with the issue of bullying effectively and positively by posting their personal stories, poems, music. 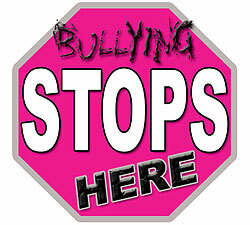 Bullying.org also hosts the worlds first and largest moderated and supportive international community. Luster Premium White believes in www.bullying.org's dedication to increase awareness, prevent, resolve, and eliminate bullying in society. Right now They're a few states that have passed certain bullying laws, while the remaining states are working extremely hard to stand up for the fight. Luster is also donating a $1 for every person that "likes" their Facebook page. Also on their Facebook Luster hosts weekly product giveaways. Even if you can't enter this giveaway, or don't want to please at least "like" their page its simple, and easy and its for a great cause. LIKE HERE. This would have to be my next favorite out of all the Luster products. It has bluerite technology, which is pretty awesome if you ask me. After you use it once your teeth are noticably whiter. I didn't see to much on me ( but I did use the weekend white a few days before I used this) but, after a few days I did notice a difference. However, B used it and I couldn't believe how white his teeth got after one time. I did notice a difference after a few day's. It tastes, and feels like my teeth are super clean, and smooth. I am a huge fan of the Crest Vivid toothpaste and have been for years, but this whitens a lot faster. If your looking for something quick this would be perfect for that. It comes in 3 mini travel size tubes which is great to throw in your bag when your on the go. I do keep one of these in my purse just in case. This product was featured in Allure Magazine for best of beauty breakthrough's for 2011 here. This I can say that I really enjoy using. It is nothing like I expected from a toothpaste. This toothpaste does contain therapeutic oils that gives your whole mouth health and not just your teeth which is totally weird because you can definitely feel the oils, and it also makes it less foamy opposed to a any other toothpaste which also means its a little less minty, but keep in mind it also whitens 2x faster. I love how it makes my teeth, and mouth feel. Its really hard to explain to be honest because its so different, but its totally worth the price because of how quick it works. This I can't really say anything good about. I've tried to use this a few times, and every time I use it it leaves the most horrid after taste. I thought it was just something I ate. Nope! I had B use it and he said the same exact thing. Product Features are the same as the Sensitive toothpaste. The White 7 toothpastes contains active dental peroxide (all other whitening toothpastes contain inactive peroxide). Since the peroxide is active they have to fill the tube to allow for the expansion of the product (so the tube is 4oz, product content is 2.6oz). Sometimes when the product is stored on its side or with the cap down it may cause a *POP! * or for the product to flow out rapidly, so they advise you to store the tube in a cup on your bathroom counter with the cap facing UP. Overall these products are pretty amazing, they are a little more pricey then any other toothpastes, but I do think that its worth it considering, the results are a lot quicker, and they're filled with ingredients that are not only good for your teeth but good for your whole mouth. I also really like that they are working with a non profit organization I believe good ethics results in a even better business, and will only bring more profit to them because people will see how they're trying to make a difference. 3. You have to follow this blog. 4. You have to comment on my giveaway video - If you or know someone who has been a victim of bullying how you got through it, or simply enter me. 7. Winner will be announced 48 hours from the deadline. 3 weeks today. Nov 2 2011. Cute blog :) New follower here btw. This sounds like such a nice giveaway! I don't live in the US, so I wont be entering your giveaway, but I have still liked Luster Premium Whitening on Facebook. In grade school I was bullied and can relate to a lot of stories, so I will definitely fight against bullying!